The final group of men’s FP at World Championships made me exhausted with mingled feelings due to the unexpected thing that led to frustration and confusion. The only predictable thing was Patrick Chan, the top skater at the forth group, did well and was given the galactic score of 280.98 points in total by the ISU judges. I think his performances deserved the gold in this competition, but this inflated score was criminal. He said he wanted to get 300 points, which was damper. If ISU wants someone to win by that big margin, just give the one gold when registering. Thus, he or she even doesn’t need to perform because “the judges know he can do it” as the certain someone said. The second skater, Nobunari Oda who had been second after the short program, couldn’t count his jumps again and sunk in the 6th place. Here we go again! I was bummed. If he could count, he would be the bronze medallist. He repeatedly goes against "Zayak Rule” stating that a competitor may not repeat a triple jump more than twice. He can never stand on the podium in World if he goes on this way though he has a gift for skating. Next, Artur Gachinski, a young Russian skater with great potential, performed energetically and got high scores. Good for him, coach Alexei Mishin and the host country. He became the bonze medalist as a result of odd happenings. The forth one, Daisuke Takahashi, had boot problems in which a blade came off from the boot and stopped his performance right after he missed his first quad jump. Tell me that’s not true! When he went to the judges to explain the accident, I remembered Oda in Vancouver, which was a recurrence of nightmare. He could restarted but couldn’t try the quad again, and the problems held down whole his performance and made him in 5th place. This accident seemed to have convinced him to pursuit his career until Sochi. It was a bit happy and a bit sad. When Daisuke repaired the boot, Ottavio Cinquanta, President of the International Skating Union, snidely made a gesture of tightening a bolt. I won't take it! In the middle of a bizarre atmosphere, nest skater, our Takahiko Kozuka, appeared and delivered a perfect and impressive performance. Just before the end of the program, the stadium was filled with a surge of enthusiasm and frenzy. I was excited in front of the TV, too. No matter how the judges said, his FP was the best performance in the competition. Congratulations on the silver medal! Then, the last performer was Florent Amodio. He used the music with vocals! I thought what happened. After the performance, he said that he intentionally used the music for exhibition and that it was a little present for all Japanese people. Pardon me? I can tell you no Japanese wanted it. It's not that I dislike him, but I cannot enjoy this season’s his FP Morozov made because he stops, stands up on the ice and just dances so many times during the performance. When he delivers it well, that glamorize it, but when he cannot, that would be a bit. Unfortunately, his FP was in the latter case. 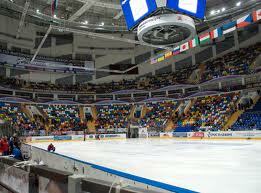 Anyway, I do hope there won’t be any negative surprise in the women’s SP and FP. I said I was losing interest in the Championships the other day. Yes, I was because since the catastrophe occurred I hadn't been able to think of it and, I thought, ISU seemed only interested in their business. After all, however, until the middle of this month I got ready for watching it on CS live a live broadcasts with a light heart. A little while ago, I was disappointed to visit the official Web page and found more than half of sponsors are Japanese company. Though that can't be helped because of the change the venue from Tokyo to Moscow at the last moment and that’s the same old story, I am not amused by the fact that ISU and Russia profit at the expense of bruised Japan, especially now. However, I’m going to rediscover my feelings and enjoy it! The competition haven’t become a hot topics of late in current Japan because media are too busy to cover those of the Great Earthquake and Tsunami, the nuclear accident, and news of a famous actress’s death. Ironically, that suppresses the media hype about the rivalry between Japanese female skaters and certain someone. All right, the men’s short program will air tonight! 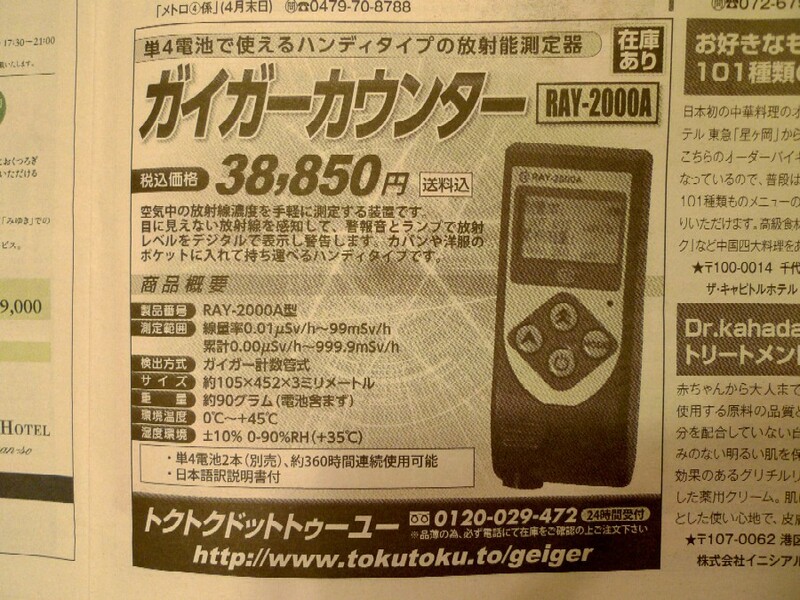 A Geiger counter is used to detect radiation. I opened up Metroguide, a monthly free paper, which is distributed in the subway station, in a subway and encountered the dubious advertising. I scoured the site on which information of the operator was unspecified and found the pictured below. The item looks cheaper than that in the paper. I couldn’t find how much did it cost before 3.11 because all information about it seemed to be posted online after that. Anyway, I do not feel like paying more than $20 (it do cost about $550) to get the shoddy good. I think I don’t need to say where the good comes from. A blogger who lives within a 20-to-30-kilometer radius of Fukushima first nuclear power plant measure radiation dose in his room and garden everyday by two different Geiger counters. It’s understandable that he wants to know it in imminent environment. 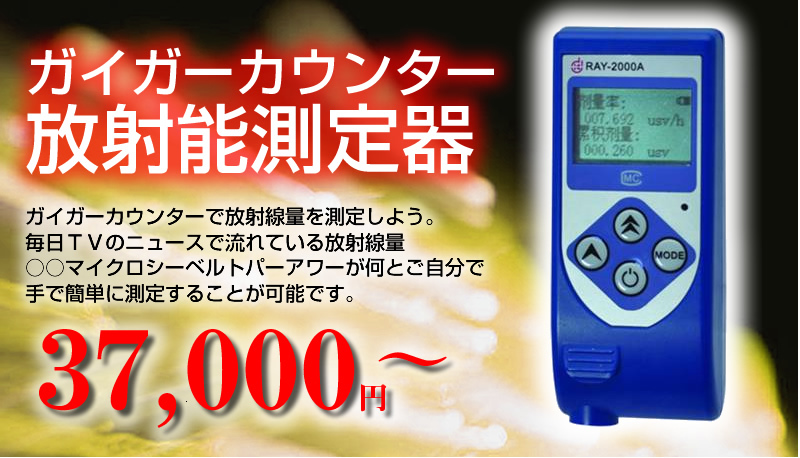 However, some people who live in the Tokyo area buy one, even if they are not in a critical danger of radiation. A typical discourse showing the buyer awareness is that “I don’t trust announcements by Government and Tokyo Electric, so I monitor amount of radiation”. If you want to monitor it due to the distrustfulness, it’s not a bad idea. But, if you want to get meaningful data, you need to study about Geiger counters in general, the particular equipment you use, the way to use it, measurement reliability, and so on. Even worse are city persons who have the distrustfulness that “media insist the public has”, judge something irrationally based on junk information and unnecessarily foment disorder. Few weeks ago a female acquaintance said, “I heard the story about the nuclear accident. A well-informed insider said the satiation is far more bad and serious. It’s might be dangerous to stay in Tokyo.” So, I asked her following questions in a moment: who was the insider, what background knowledge about the plant and nuclear power engineering that person had, tell someone what's going on, and what was a reason to believe that story. Needless to say, she couldn’t answer. If you do not trust Government and Tokyo Electric and are nervous about it, you can escape from Tokyo and go to wherever you want. No one can force you to stay here. Unfortunately, each person needs to have a fear of radiation risk accurately and rationally: do research and study personally, decide on reasonable grounds, examine validity of evidence, and suspend judgment for a while if you cannot be sure. I never figured this would happen, but that attitude is fundamental for judge something. If you cannot trust that information, do as you like! I often check the information from multiple institutions, and I do have a normal life in Tokyo. After last month's welter of information, the things looks calm down in Tokyo, and I wonder if now people who got hysterical at that time monitor the situation of the accident and the radiation effect in a serious manner. What kind of commemorative photo do you think it is? These people, including my sister, were players of the violin at a once-yearly recital hosted by a music school my sister belongs to. You see most of them are adults, though three of them are teachers. About a decade ago, at least, more than half of the players were children and students, so why? 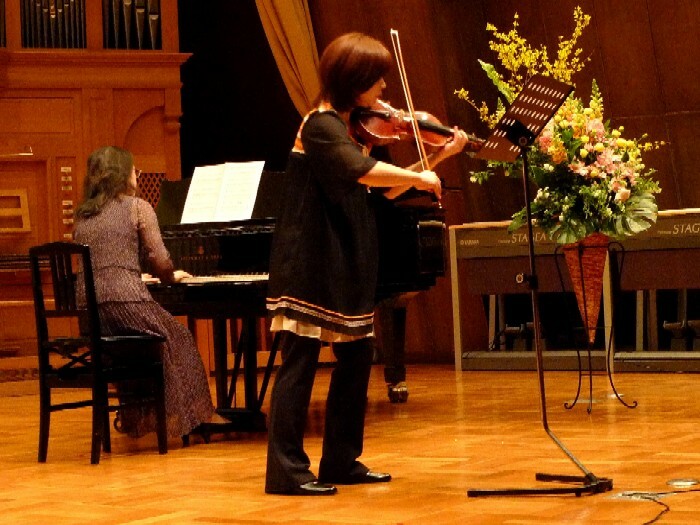 As for violin fewer children start learning in comparison to piano, but the problem isn’t that. I've been to the recital every year and feel the number of new children is approximately the same as before. This is because young children tend not to continue it over the long term in recent years. 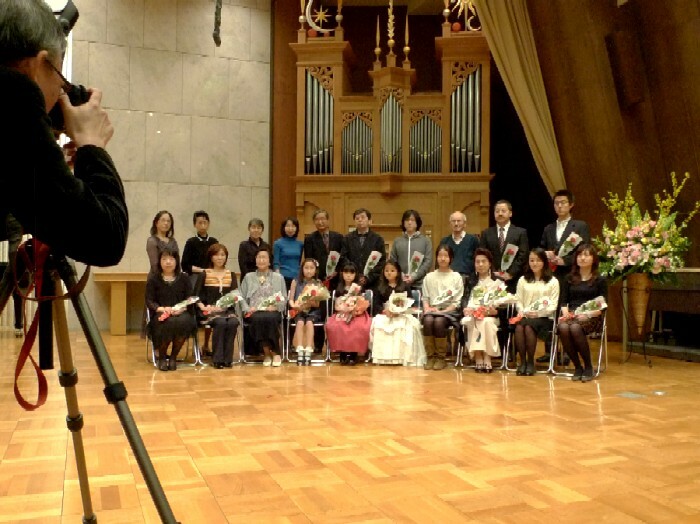 I think the children take the occasion of replacement of instrument to leave the school. While a full size violin (4/4) is for violinists who are taller than 145cm, young children age 5 or 7, the average age of children starting the lessons, usually use 1/8, 1/4 or 1/2 violins for body size. Then after 2 or 3 years, they have to replace old one with 1/2 or 3/4. As long as one takes lessons from a violin teacher, one has to have a decent violin, and it’s handsome price. If you get a full size violin, it costs, at least, around 300,000 yen ($3,500), but children who use a small violin for two or three years doesn’t have to have a precious one. Even so, the children disappear at the time for changing the size without exception these years. More of them used to stick to violin lessons a while longer. I used to remember their names and enjoyed watching their development every year. First, let me show you the fula and Tahitian dance! 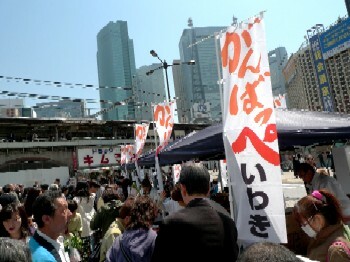 The team performed at a square nearby Shinbashi Station, Tokyo on April 12th and 13th. Why I saw their performance? 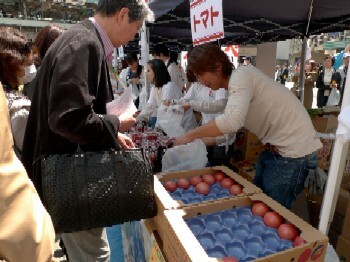 Well, my friend and I went to the Fukushima farmer’s market held at the square. 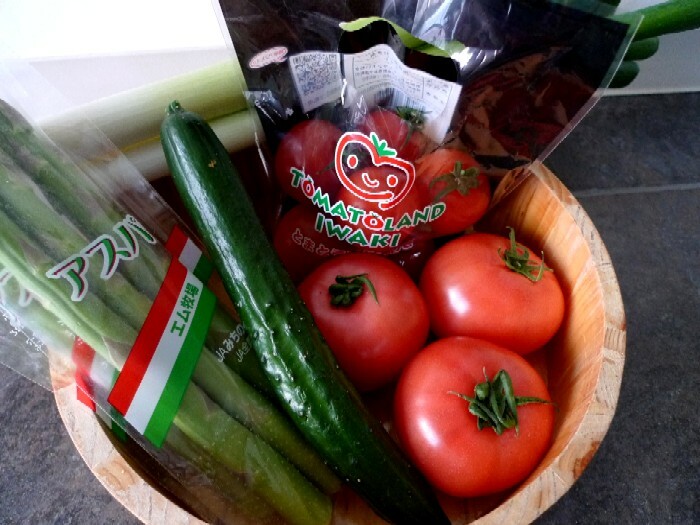 The market is part of a marketing campaign of Iwaki’s vegetables. Vegetables from Fukushima, including Iwaki, are hit hard by rumors. In fact, some items produced in some parts of Fukushima are radiation-polluted beyond the norm for the national standard and suspended from market, but most of crops ARE NOT. However, distributors of fruits and vegetables don’t want to buy them. Even so, if farmers directly sell their vegetables, which are not radiation-polluted beyond the norm, in Tokyo, they are immediate sellout because many Tokyoites want to buy them to show support for Fukushima and the farmers who are suffering from the rumors. Although all vegetables contain radioactive materials in nature, it’s true some vegetables from Fukushima and Kanto contain a slight amount of additional radioactive materials, which don’t exist without the nuclear accident if it’s below the norm. So, it’s left to the judgment of the individual that you buy them or not. Of course I do buy them. Get back on the track. 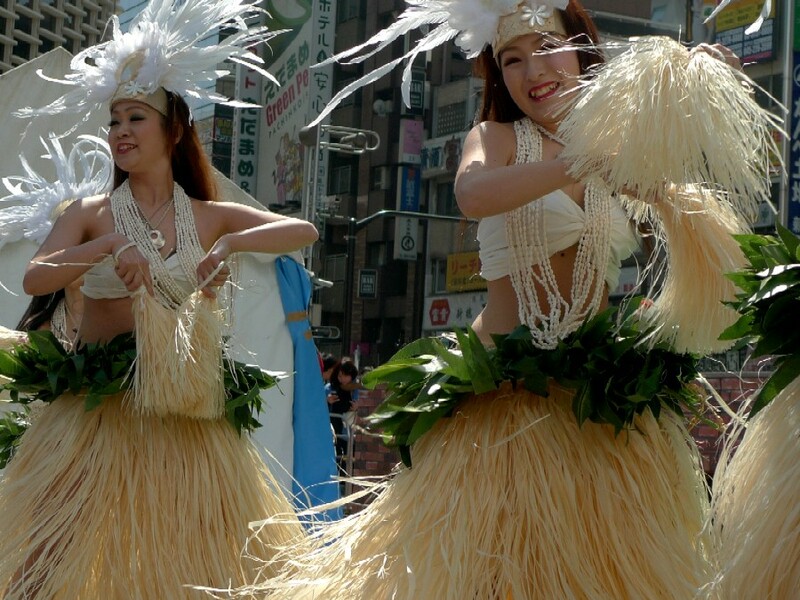 The combination of Iwaki and hula dance may not mean very much to people live in other than eastern Japan. 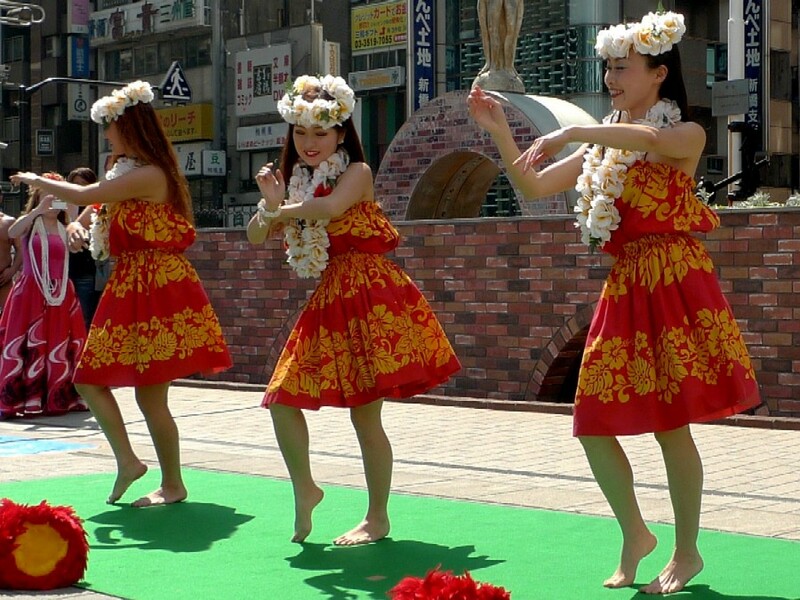 Have you ever heard Spa Resort Hawaiians in Iwaki City? 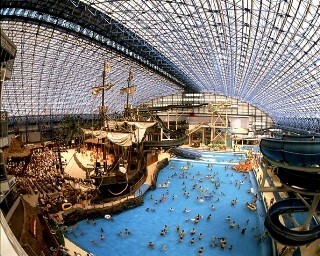 It’s a large leisure park that utilizes the natural hot springs in the area. 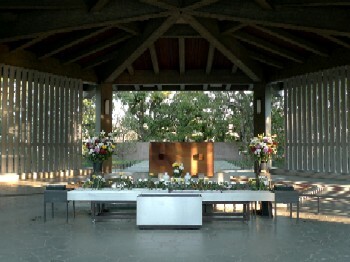 In the large dome the temperature is set at 28 degrees Celsius all year around, creating a Hawaiian atmosphere. 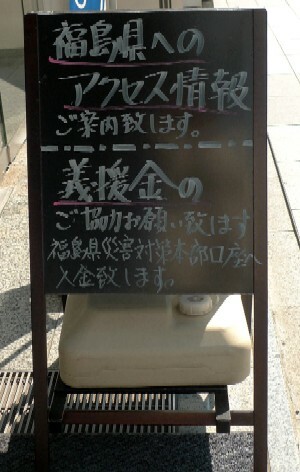 It’s closed for business due to the earthquake. Iwaki was a coal-mining town at one time. A decaying coal mining company opened the leisure park in 1966 as a restoration project, and fula and Tahitian dance that girls in the town performed was (and still “is”) highlight of the park. The way in which daughters of coal miners become fula dancers was made into a movie, Fula Girl, few years ago. 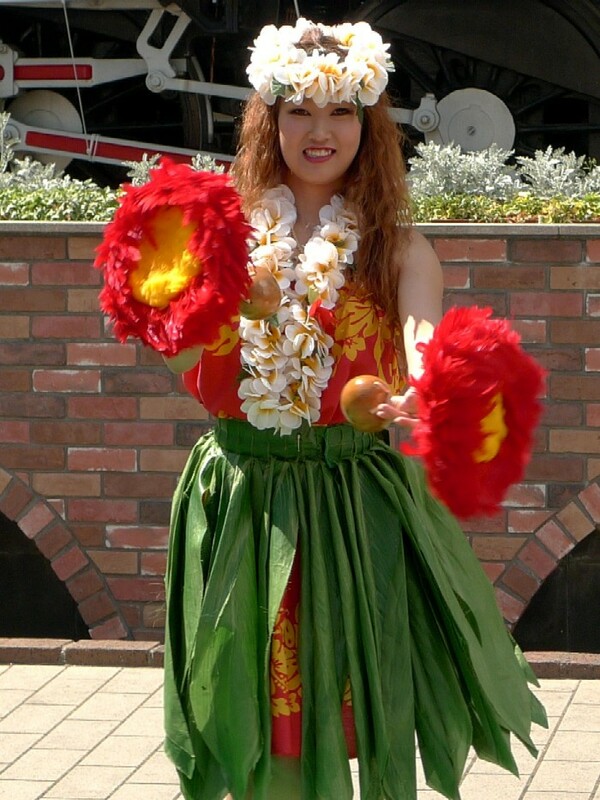 Ayumi Linolani once belonged to a dance team of Spa Resort Hawaiians and now has own dance school in Onahama, Iwaki City. Ayumi and Members of Halau Laulanani, students of her school, live in Iwaki and are sufferers of The Great Tohoku-Kanto Earthquake. I felt certain that the fula girls will become the symbol of restoration of Iwaki once again and was very moved by their performance. 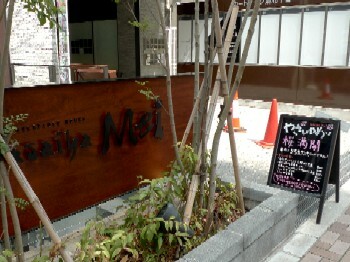 It was sunny and warm during the day, and I strolled and lunched at a restaurant in Azabu-juban. I visited “Yasai-ya Mei (literally means vegetable house Mei)” run by Eat Walk Corporation, a restaurant-chain led by chef Akira Watanabe. 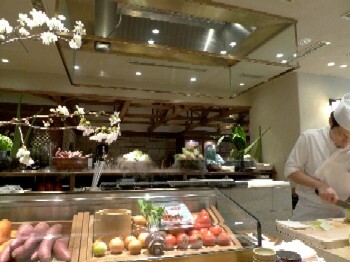 Yasai-ya Mei, the Azabu-juban branch opened last November, is a Japanese restaurant serving vegetable dishes that use organic ones from contract farmers. In his other restaurants, the organic vegee is a main selling point. I usually do not go to this kind of snobbish organic restaurants, especially in Japan. Though I’m an incomparable vegetable lover, I just regale myself with regular vegetables nameless farmers produced with effort. I’m quite happy with that. However, I couldn’t ignore one dish, which is also served during lunchtime. Here it is. 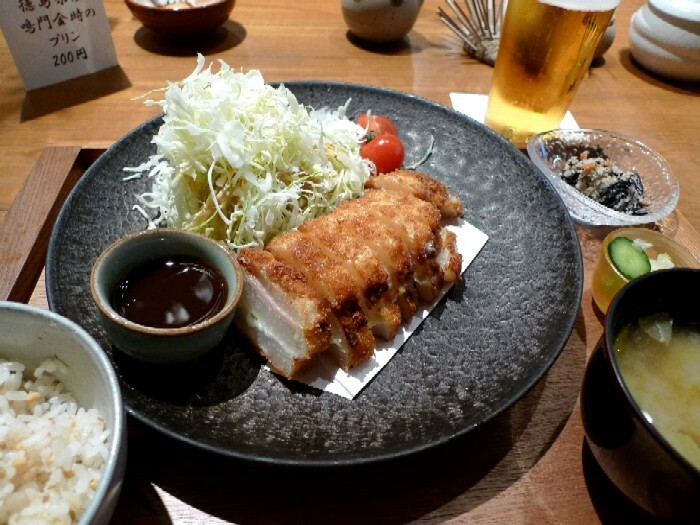 “Daikon Katsu (deep-fried Japanese radish)”Katsu means deep-fried meat (pork, beef or chicken), and deep-fried radish is unusual. Cheese and ham are sandwiched between stewed radish, and it tasted surprisingly rich. It tasted good, but I had heartburn, maybe because of the fried oil. The dinner menu seems ordinary: it looks like an excerpt of vegetable dishes from izakaya menu. I don’t know if I have dinner there from my own motive, but I can lunch. Miso soup was excellent, and the staff was kind and friendly. There are 5 set meals at lunchtime, so I can order something other than that deep-fried dish. Anyway, during the lunch, I was just wondering what kind of food organic enthusiasts are eating now. They may not buy vegetables from North Kanto and Fukushima. My sakura comes into bloom! My friend’s baby gets into a high school. The friend and I gone together for decades like a family member, and I have known the son since he was born in 1995. Congratulations on your acceptance to a school of your choice! I'm amazed at how fast the time goes by and deeply concerned with all these years. In 1995, Japan had the series of misadventures: the Great Hanshin Awaji Earthquake, where more than 6000 lives were lost, and the Tokyo subway attack that left 12 people dead took place. I remember that a lot of people, including me, were also uncertain about the future at that time. Then I'm sure we are okay. 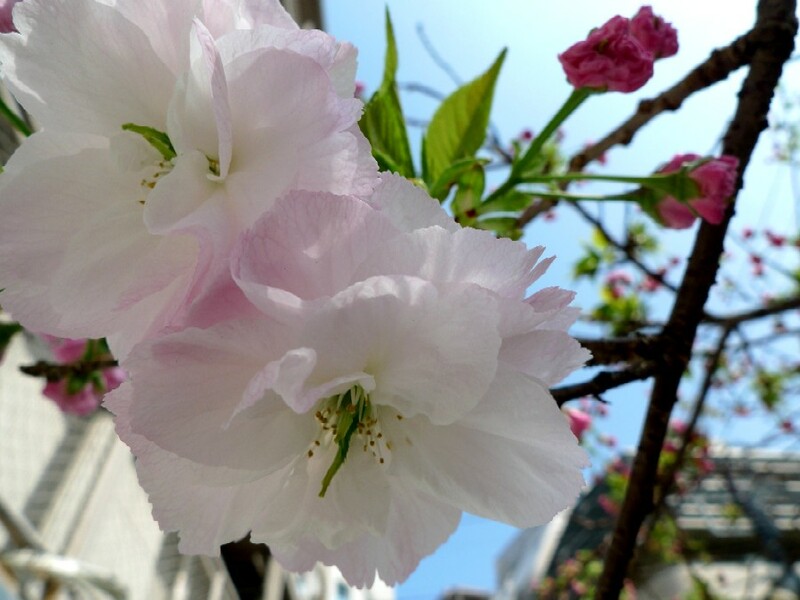 According to the Meteorological Agency, the cherry blossoms are at their peak in Tokyo today. I knocked off early and visit Chidorigafuchi, the North-Eastern moat of the Imperial Palace known as one of the most famous cherry-blossom viewing spot in Tokyo. 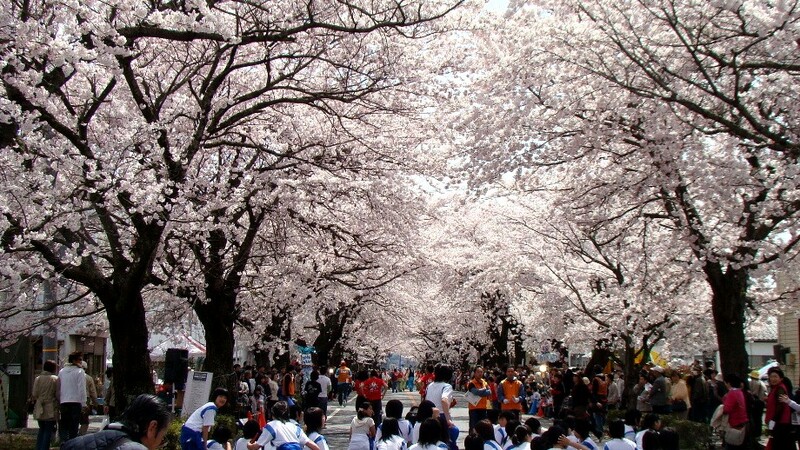 I strolled through it, enjoying the warm sunshine and sakura. 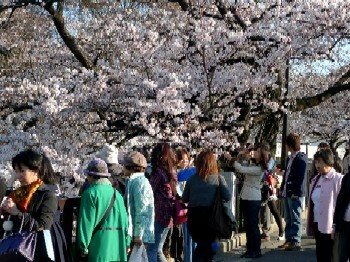 Even if someone requests to refrain from or promote drinking party under the cherry blossoms, the sakura attracts real crowds. 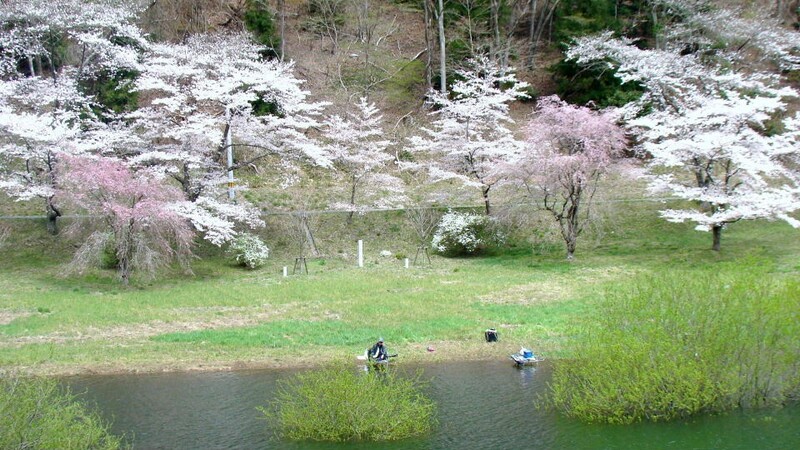 In fact, what I really want you to see today is not cherry trees in Chidorigafuchi but those nobody admires this year. Due to the nuclear accident in Fukushima first nuclear power plant, residents in 12 municipalities have been directed to evacuate or stay indoors. Four municipalities among them are placed entire area under the evacuation directive: Futaba City, Ookuma City, Tomioka City, and Naraha City. 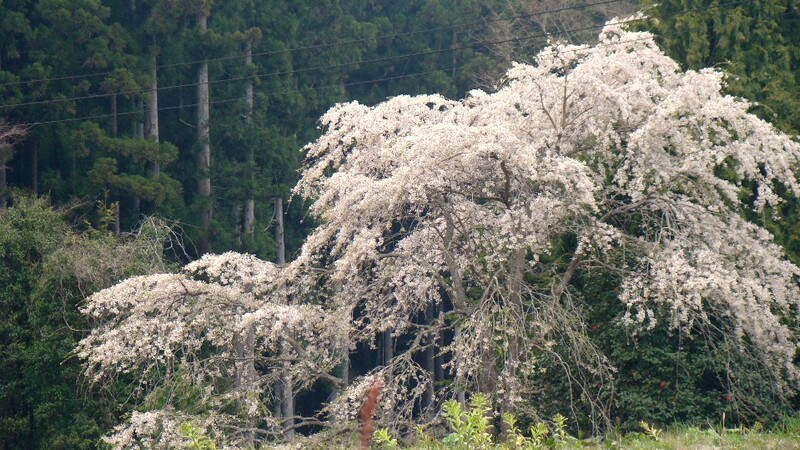 As far as I surfed the net, places where the following photos were taken weren’t hit by the tsunami, so the trees will bear the abundance of flowers this year, too. It's a recent little pleasure to find unfamiliar natto at supermarket shelves. Natto is a traditional Japanese fermented food made from soybeans, and it’s one of food items that are thinly distributed after the Great Eastern Japan Earthquake. One reason of the shortage of supply is that the earthquake damaged many natto manufacturers’ plants. In Japan natto is popular in the eastern regions, and most of the manufacturers are in Kanto and Tohoku areas. In addition, major packaging material makers in Tohoku were affected, too. 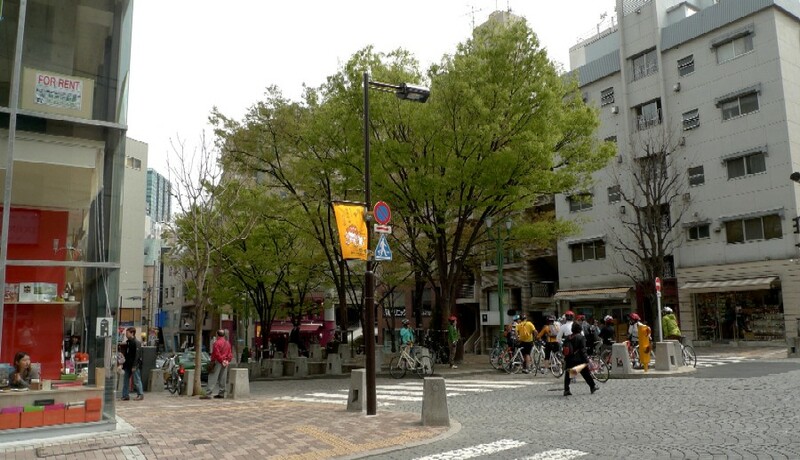 The other is that urban residents buy up it because it's said that natto can rid the body of toxic substances including radioactive materials. It’s still thinly distributed, but more recently, when I go to a supermarket during daytime hours I can find some packs of natto I have never seen before. 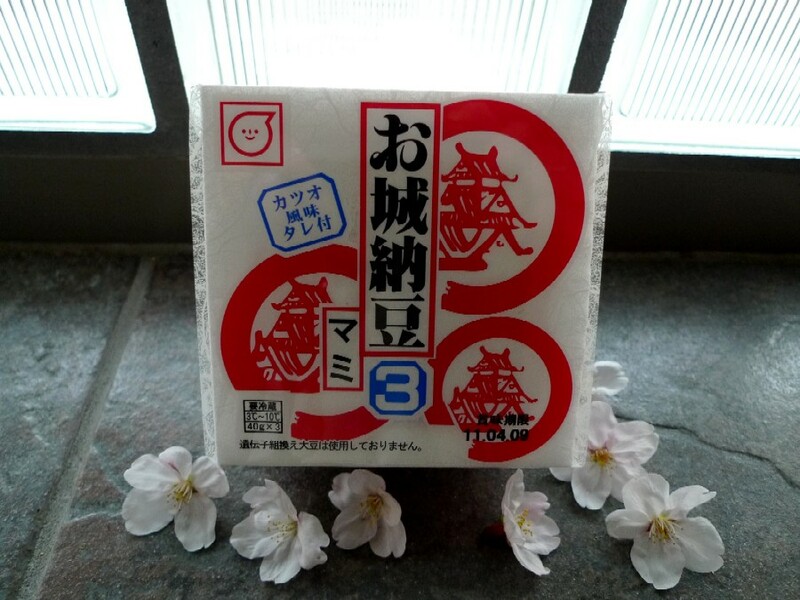 I got Oshiro natto, in the opening photo, made by a manufacture in Kumamoto Prefecture on the island of Kyushu. The other day I saw ones made in Hokkaido (the northernmost island) and Kansai (Shiga and Kyoto Prefectures where natto isn’t popular). I appreciate that all manufactures increase the production for people in Kanto and Tohoku and that retail distributors put their efforts into purchasing stocks of natto. I’ll enjoy a variety of natto until the plants in Kanto and Tohoku are going to be restored. 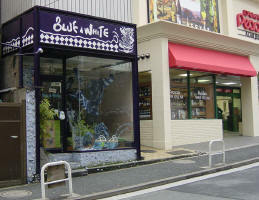 A Boston native, Amy Katoh opened a Japanese craft shop named Blue & White in Azabu-juban in 1975. I know this shop since I was a small child and sometimes visit it to buy gifts for foreign friends. 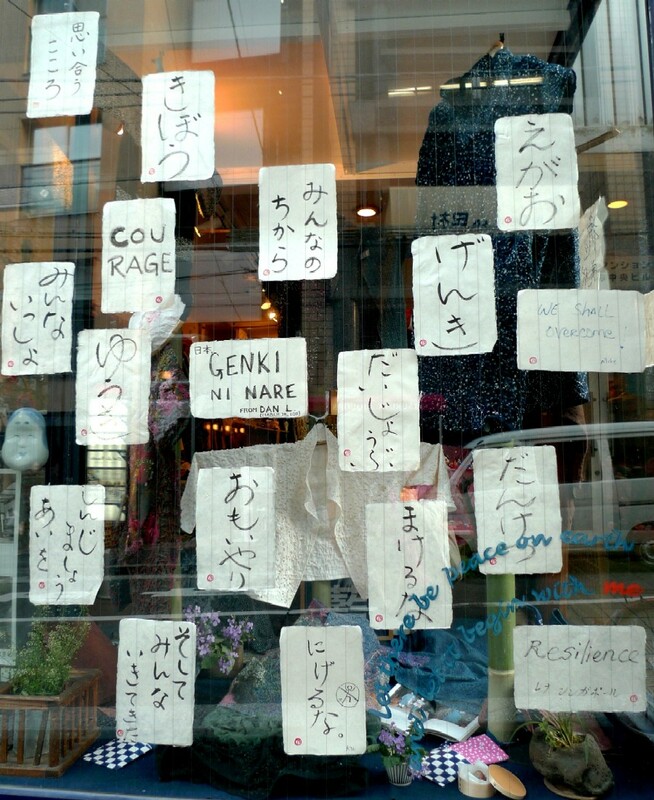 After the earthquake on March 11, the shop puts these pithy messages on its shop window. The hardships caused by the massive earthquake and tsunami was named the Great Eastern Japan Earthquake (東日本大震災, Higashi Nihon Dai-Shinsai) by Japan's government yesterday, and in Azabu-juban, I see some foreigners who ran to ground at once after the nuclear accident in Fukushima. However, the hardships still continue, and we still have a long way to go. I made a side trip on the way home from the sports center where I dropped the aid supplies for Iwaki City, and I got some Fukushima’s products at a shop in Yaesu near Tokyo Station. 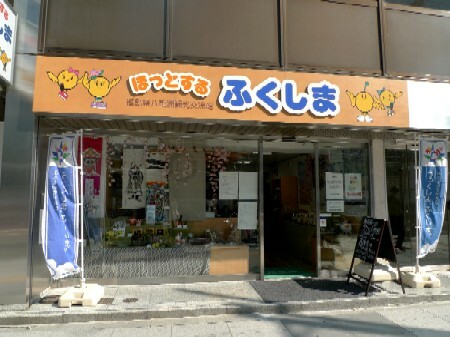 The shop called Fukushima-ken Yaesu Kankoukouryuu-kan (Fukushima's Products Shop) is one of pilot shops in Tokyo run by Foundation for Fukushima Tourism Exchange Association. I read the news, on a news site, that more people visit Fukushima’s pilot shops and purchase goods to express their support for Fukushima. Whydidn't I think of that? As you know, their products are hit hard by harmful rumors. The sad thing is that some people believe before thinking the products are contaminated with radiation by just the name of Fukushima. But, I go ahead and buy them. 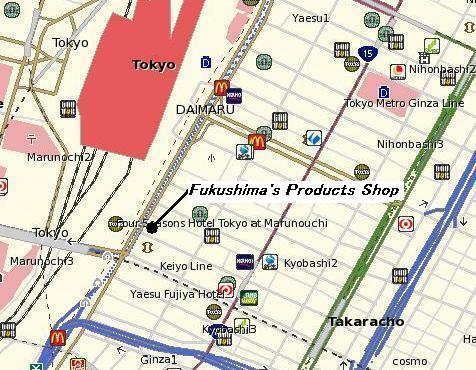 Products of tsunami-stricken areas are unavailable because most of factories were destroyed. 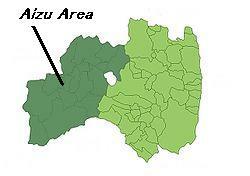 Now the shop mainly contains those from Aizu, an area comprising the westernmost third of Fukushima Prefecture. Landlocked Aizu got relatively little damage by the earthquake and is 100 kilometers away from Fukushima first nuclear power plant. 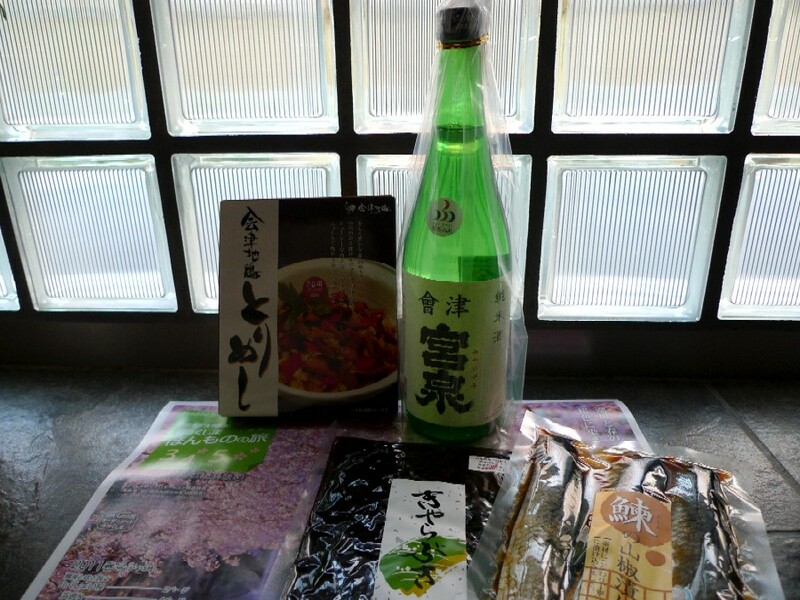 I got local sake of Aizu and some nibblies. 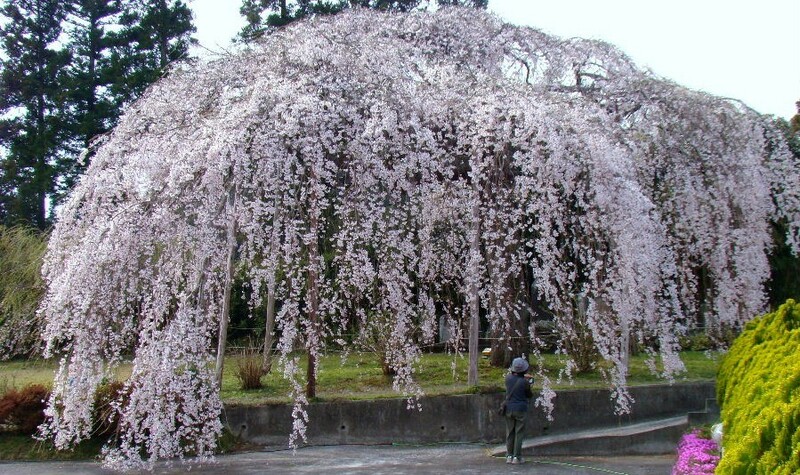 As a matter of fact, I’m planning to go to a hot spring resort in the southern part of Aizu in late April when sprig will come to the area and cherry blossoms be in bloom. I'm glad I can enjoy the local sake little earlier. These data shows “the reality” at present. I'm so sorry for people who fled to Rome from Tokyo.